If you're new to PacketMicro products or if you have questions on any particular products or applications, please check on the answers on following questions. How to choose a probe positioner? Do FP160 and TP50 positioners support Tektronix oscilloscope probes? 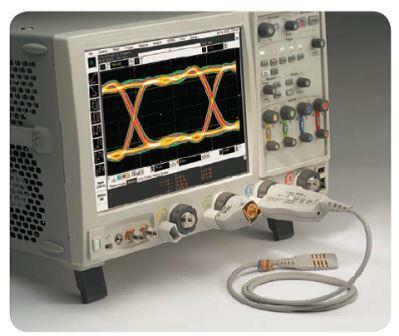 Do FP160 and TP50 positioners support Agilent (Keysight) oscilloscope probes? Does TP300 support both microprobes and RF probes? 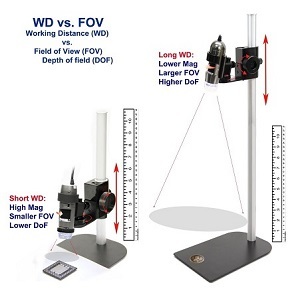 Which probe station do I use for vertical or double-sided probing? Which positioner do I need for testing circuit boards with 0201 and 01005 components? When can I use TP50 instead of FP160 positioner? Can I use UH50 Flex Holder for probes with solder-tips or connectors? Can I use FP160 and TP 50 positioners for holding a Dino-Lite microscope? Is there any advantage to use FP160 to hold a digital microscope? When should I use an optical microscope for probing applications? When should I use a digital microscope for probing applications? How do I choose a digital microscope? What are the Magnification, Field of View, Working Distance, and Depth of Field? Why choose the Dino-Lite microscope? What is the advantage of using S-Probe? Is using S-Probe better than soldering a semi-rigid coaxial cable? Can I use S-Probe to touch down on solder balls directly? Can I use the S-Probe if I have just begun to do probing? How to level the S-Probe in testing? How to calibrate the S-Probe using the TCS50 calibration substrate? Which S-Probe can I use for 01005, 0201, 0402 or 0603 component? The selection of a probe positioner depends on your applications. For example, you should use TP300 if your applications require probing with microprobes from GGB or Cascade. For vertical probing, you will likely find FP160 and TP50 more applicable. The following table shows the different applications that the positioners are suitable for. Please contact us for more information. Yes, we had worked with Tektronix to verify the following compatibility table. Yes, the universal adapters UA18 and UA12 support most Agilent oscilloscope probes. Please contact PacketMicro if you a question about any Agilent probe. Does TP300 support both microprobes and S-probes? Yes, you can mount almost all GGB or Cascade Microtech microprobes on TP300 positioner. 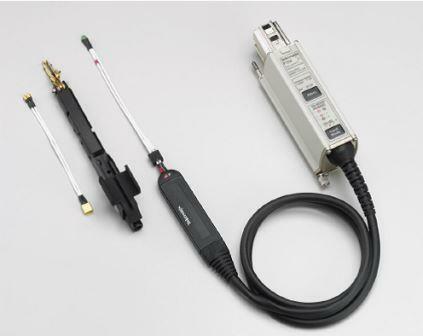 In addition, our S-Probe series probes can also be mounted on TP300 by using the TP300-PA adapter. PS800 probe station, comprising two TP300 positioners and two PB100 probe bridges, can easily be configured to test printed circuit boards in various form factors (up to 24” width and unlimited length). VPS100 probe station, comprising two FP160 positioners and one VPH100 PCB holder, is designed to vertically hold a printed circuit board for double-sided probing. FP160 flex arm and universal probe adapter allowing 3D, omni-direction orientation of the probe tips. VPH100 upper bar has a quick release mechanism allowing a user to easily mount and dismount a PCB from the holder. 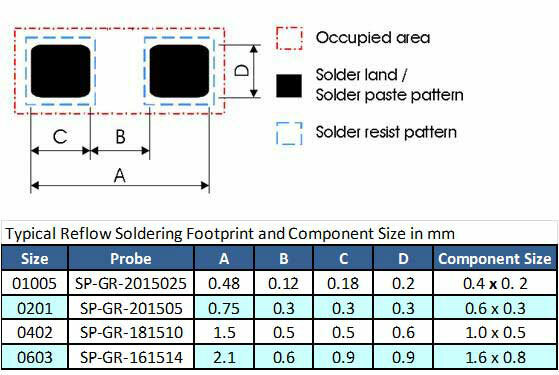 By loosening the adjustment screws, the lower bar can move up and down in 9 small steps (1 cm/step) to set the PCB in the appropriate height for ease of testing. VPH100-10 holds PCB’s with open-ended width and height ranging from 1.8” to 10”. VPH100-18 has taller vertical side bars and can hold PCB’s up to 18” in height. TP300, FP160, and TP150 Flex Positioners are all suitable for probing fine-pitch components and test points. Each of them has the fine adjustment XYZ stage that can move the probe tips in the range of micrometers. In addition, you can use the planarization knob to level the probe tips of a differential probe for reliable measurements. TP50 positioner is designed to firmly hold a conventional oscilloscope or handheld probe that are typically used to probe 0402 or larger size components and test points on a printed-circuit board. 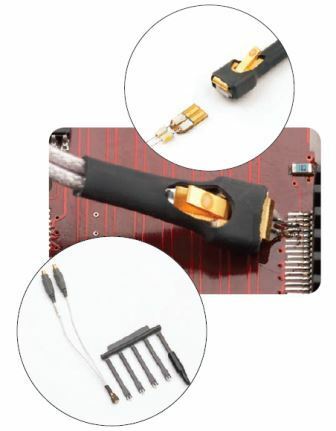 Yes, you can use UH50 holder to grip a probe with solder or connector tips, such as Tektronix P7500 and Agilent InfiniiMax III series probes. It is easy to attach multiple UH50 holders to the MB10 base for applications requiring multiple arms to hold probes and microscopes while using minimal bench space. Can I use FP160 and TP50 positioners for holding a Dino-Lite microscope? Yes, you can easily replace universal adapter (UA18) with the HDM1 adapter that holds most of the Dino-Lite microscopes. Yes, the typical field of view for the long working distance microscope is around 4.3 mm x 3.5 mm (x90 magnification). FP160 fine position control helps a user to move the microscope from one test point to the test point outside the FOV with ease. An optical microscope is better if you typically place the printed circuit board horizontally on the laboratory bench. Typical optical microscopes have better lens that give you good depth of field (DOF) and field of view (FOV) with long working distance. You will need an optical microscope with at least 90x magnification, and we have used the following optical microscope from AmScope extensively; Optical microscope and Ring LED light. A digital microscope is easier to work with if you need to do vertical or double-sided probing since the lens of typical optical microscopes cannot be rotated to a different angle easily. It is important to get a microscope with minimum working distance of at least 30 mm at 90x magnification. You should also use the UH50 Flex holder with the digital microscope. UH50’s long-reach arm and hydraulic joint make the Flex Holder UH50 ideal for holding any digital microscope. Unlike other USB microscope holders that require multiple adjustments to lock the microscope into position, UH50 can be quickly positioned in a wide variety of configurations by tightening a thumb knob. Most Dino-Lite microscopes have variable magnification. As with traditional microscopes, a higher magnification means shorter working distance, and smaller field of view and depth of field, and a lower magnification will give a longer working distance, larger field of view (FOV) and depth of field (DOF). Working Distance: The working distance is the distance between the microscope cameras and object you wish to view. Compared to typical microprobes, S-Probe is a lot stronger. 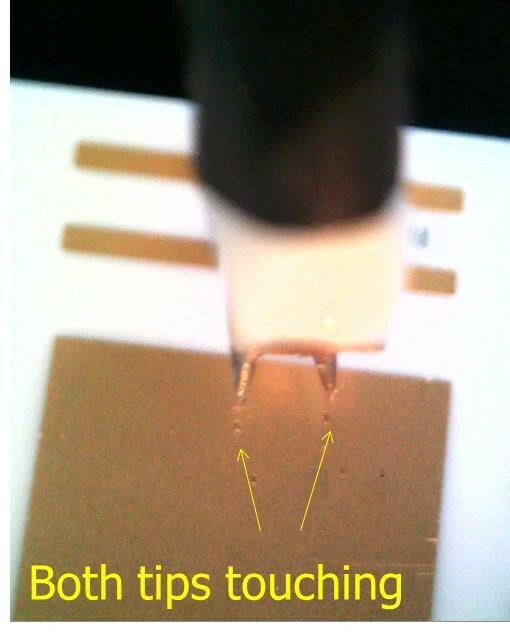 It is strong enough that you can even use your fingertip to touch its probe tips. 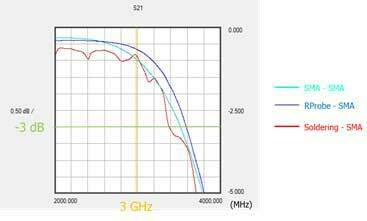 RProbe series is designed for RF, power integrity, and signal integrity testing. Its strong beryllium copper (BeCu) tips are perfect for direct probing of circuit components or test points on uneven surface. Yes, the performance of the S-Probe is better than that of a soldered coaxial cable. The figures in RF Measurement App Note show that the S11 and S21 of S-Probe are similar to those of a SMA connector. The calibration is performed at the SMA connectors of the two cables. Yes, the strong probe tips of S-Probe can be placed directly on the solder balls for performing measurements. Yes, you can use the S-Probe even if you have little probing experience. Its strong BeCu probe tips is a lot more forgiving, so that you can do the probing tests with the ease of mind. The user experience of the RProbe is similar to that of the microprobes. We suggest that you could use RProbes for measurement under 12 GHz and microprobes for measurement above 12 GHz. - You can use S-Probe’s strong tips to probe a Mylar tape for probe planarization. 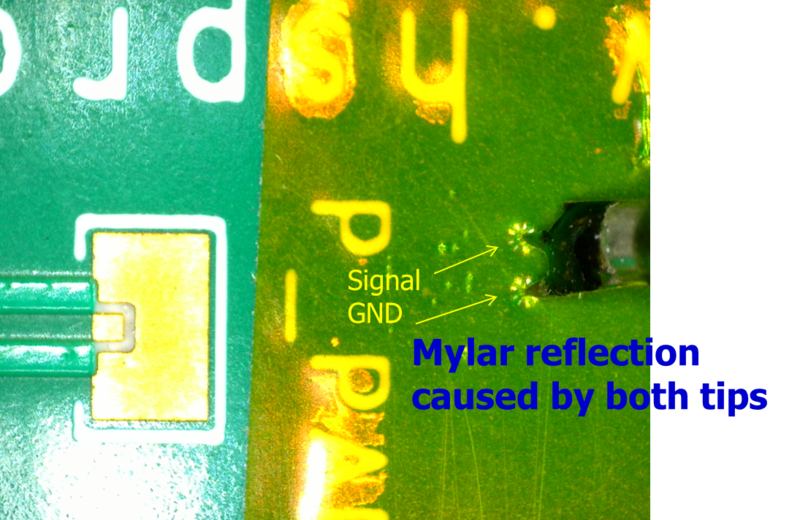 It is easier and faster to level the probe by observing the Mylar reflection caused by the probe tips. Please refer to the “Probe Planarization with Mylar Tape” application note. - You can also use the probe-tip marks on the DUT to verify the probe planarization. This is the same as what you need to do with a GGB or Cascade microprobe. How to calibrate the S-Probe using the TCS50 calibration substrate?. - The TCS50 is a calibration substrate with short, open, load, and thru (SOLT) standards that are designed for S-parameter calibrations and TDR impedance validations. This substrate allows engineers to perform probe-tip calibrations and move the measurement reference point directly to the probe tips. TCS50 is specifically designed for using with the S-Probe series. Agilent VNA users: Please refer to the “RF Probing with calibration using Agilent VNA” application note. Anritsu VNA users: Please refer to the “RF Probing with calibration using Anritsu VNA” application note. 7. Which probe can I use for 01005, 0201, 0402 or 0603 component?. 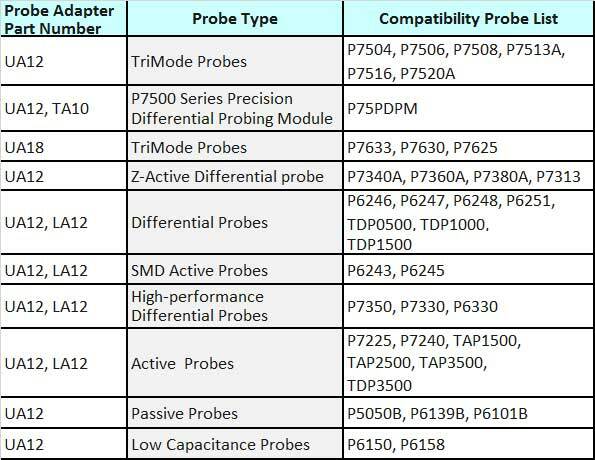 Please refer to the following table for the probe selection.